To describe your product as being the world’s spiciest crisp is a bold flex, as there is some serious contenders out there. From Pringles’ Hot & Spicy to Nik Naks’ Nice n’ Spicy, it’s clear there’s a market for snackers who enjoy a little extra thrill with their mid-afternoon snack. However, there is a new, tongue punishing crisp in town unlike any you have ever sampled before; so astonishingly fiery it actually comes with a five chilli ‘extreme heat’ warning. With enough explosive flavour to give Flamin’ Hot Monster Munch a serious identity crisis, Seabrook’s Scorchin’ Hot Trinidad Scorpion Chilli crisps takes matters to a whole new level. Scorchin’ Hot crisps are made using the notorious Trinidad Scorpion pepper, which spice lovers will recall is the second hottest chilli on the planet. Ouch. Seabrook’s staff even have to take necessary precautions when crafting these crisps, which are potentially the hottest ever to hit supermarket shelves. Staff members usually don a protective hairnet and coat while making food. However, the creation of this particular product required the use of masks, gloves and safety glasses to ensure the sizzling peppers didn’t cause skin irritation. Crikey. Scorchin’ Hot Trinidad Scorpion Chilli crisps are part of a new trio of spicy crisps – introduced by Seabrook. 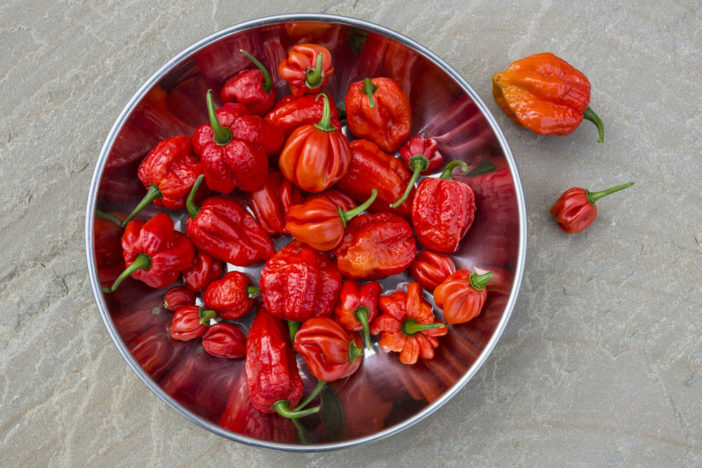 Known as the ‘Fire Eater range’, the favours range from hot right up to super spicy. Now, Scorchin’ Hot Trinidad Scorpion Chilli is undoubtedly the baddest of the bunch, but the other two certainly pack a punch. Next in line to the throat blistering throne is Smokin’ Hot Smokehouse Cayenne. 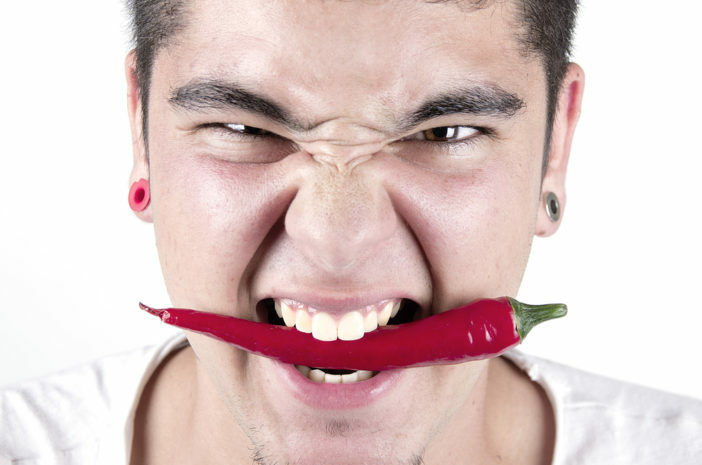 Made with cayenne pepper – which daredevil curry eaters will know is a key ingredient of vindaloo – this mouth roaster comes with a still extremely formidable four chilli rating. The mildest of the range is still fairly smouldering. With a three-chilli rating, Searin’ Hot Chilli and Lemon may be the best place to start for newbies to the world of intense snacking. 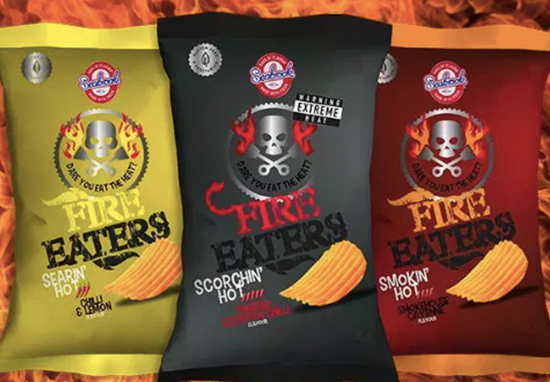 Costing £1.59 per 150g sharing bag – I wouldn’t advise devouring the lot on your own – you can find all three types from the Fire Eater range at your local Tesco from mid October onwards. A suitably intense Halloween party snack if ever there was one. These snacks have already caused quite a stir, with many spice aficionados bragging about their iron tongues. One person boasted, ‘Added to my shopping list’, while another plucky soul reasoned, ‘They don’t make you sign a waiver can’t be that hot’. Ain’t that a bit stupid what if kids eat them or someone rubs their eye or even worse goes to the loo stupid idea. 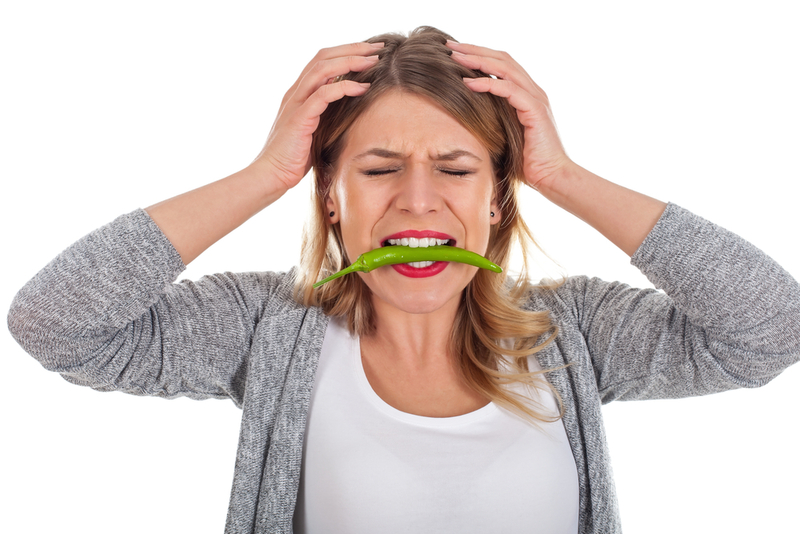 Do you dare to give these sweltering snacks a try? Or, like me, will you be sticking with a good old-fashioned packet of Skips?